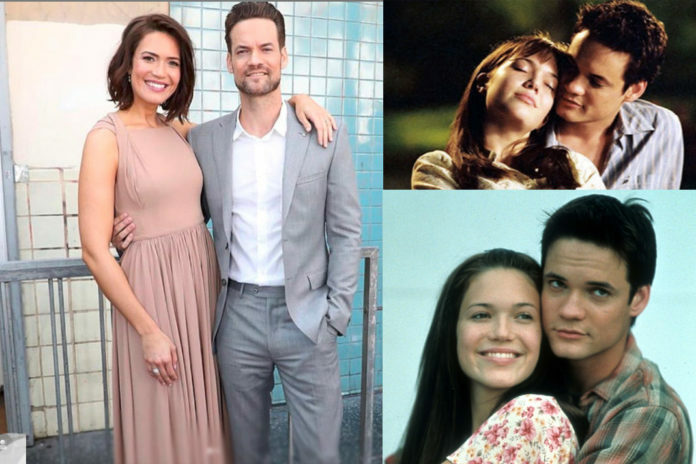 A Walk to Remember, One of the most romantic film ever made, which also made people believe in the true love and all these could happen because of the stars Mandy Moore and Shane West (AKA Landen Carter and Jamie Sullivan). The stars reunite at the Hollywood Walk of Fame. Actually, Shane West was gentle then and is gentle now, as he gave an honoring speech for Moore’s Walk of Fame Ceremony. Moore was definitely touched by his sweet words and gesture. She replied this on her post. In the month of January 2019, West also posted, How he will not forget those good times while shooting for “A Walk to Remember”. You both have given us a perfect love story anyone can ever give in this world. God Bless you both. Thanks for making our lives beautiful.